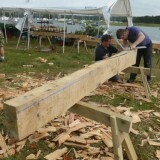 Catch up on the latest news from Buckler's Hard. 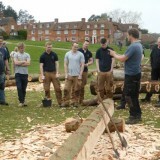 Professor Jon Adams from Southampton University's Maritime Archaeology unit delivers a lesson in bronze age axe heads and tools. 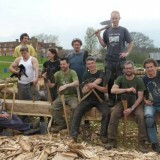 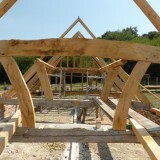 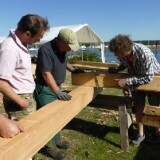 Timber frame apprentices have joined us at Buckler's Hard to experience the traditional methods of timber conversion. 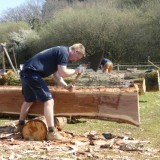 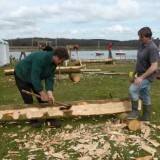 The hewing and sawing of the trees at Buckler’s Hard has started under the expert tuition of Henry Russell. 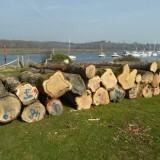 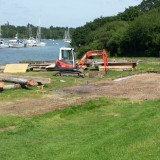 The felled timber has arrived at Buckler's Hard village, ready for the hand hewing and pit sawing to commence. 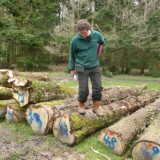 The first stage of the project is now underway, with the felling and measuring of the oak trees ready for transportation to Buckler's Hard.